Amazing story ! Timothy, you are the greatest ! Well written and very informative….nice going Timothy…. The comments were the first Obama had made publicly addressing last night’s mayhem in Maryland’s largest city, located roughly an hour northeast of Washington, D.C., following the funeral of 25-year-old Freddie Gray, a black youth who died of spinal injuries while in police custody earlier this month. The White House said yesterday that its new attorney general, Loretta Lynch, was monitoring the situation, and the Department of Justice released a statement on her behalf condemning ‘the senseless acts of violence’ that ran rampant in the city, including the lighting of some 150 fires. Maryland Governor Larry Hogan last night said that the president called him and urged him to exercise ‘due restraint’ but agreed with his decision to issue a state of emergency and call up the National Guard, 500 of whom have been deployed to protect the city’s streets. ‘I assured him that we were. The last thing we want to do is escalate violence. I assured him we would not stand by and allow our city of Baltimore to be taken over by thugs,’ Hogan said. The president warned violent demonstrators that ‘one burning building’ will make headlines and the thousands of peaceful protesters will be ignored. The White House sent three of its own emissaries to Gray’s funeral on Monday, two of whom represented the president in Ferguson, Missouri, after the killing of Michael Brown. Broderick Johnson, a native of the Baltimore and the chairman of the president’s My Brother’s Keeper Task Force, and Heather Foster, an adviser in the White House Office of Public Engagement, both of whom were in Ferguson, as well as Elias Alcantara, the associate director of the Office of Intergovernmental Affairs, were dispatched to Baltimore yesterday. The White House gave reporters a ‘readout’ summary after Obama’s first official meeting with Lynch, an occasion it barred reporters from observing. The White House also acknowledged that the president spoke over the phone that afternoon to Baltimore Mayor Stephanie Rawlings-Blake and that Senior Advisor Valerie Jarrett talked to Hogan. Amid the violence and looting that claimed a CVS pharmacy, a $16 million nursing home and a shopping mall and left at least six police officers in the hospital, Obama called Hogan himself, the Maryland governor revealed. Lynch said in a statement on Monday evening issued by the Justice Department: ‘I condemn the senseless acts of violence by some individuals in Baltimore that have resulted in harm to law enforcement officers, destruction of property and a shattering of the peace in the city of Baltimore. ‘As our investigative process continues, I strongly urge every member of the Baltimore community to adhere to the principles of nonviolence,’ she said. The pattern has been the same since the Watts Riots in Los Angeles during the summer of 1965. 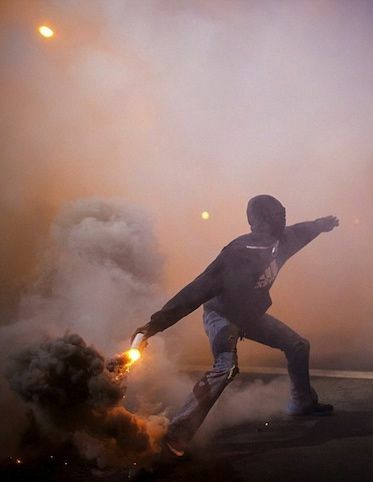 Hoods, thugs and criminals have burned, looted and killed innocent people, and destroyed their businesses; and launched a war against the police. Nothing has changed except the faces. Blacks constitute approximately 13.2% of the U.S. population. Hispanics are not rioting. Asians are not rioting. Jews are not rioting. Only the blacks are rioting . . . and then only a small portion of them: the hoods, thugs and criminals—who must not be coddled. America has no sympathy for them; and the backlash may be horrendous. Far too often, their targets include elderly blacks and other inner-city poor. 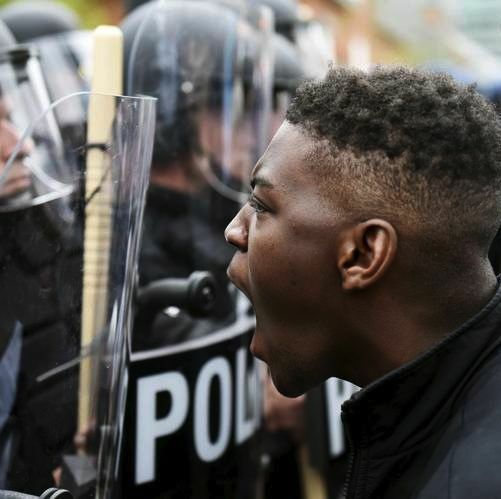 [T]he main thing that keeps black America feeling alienated in its own land is the police. This is utter nonsense. Just another excuse why so many black Americans remain at the bottom of the totem pole, while newer Americans (e.g., Hispanics, Asians) climb the ladder to success. More than 150 years after Abraham Lincoln issued the Emancipation Proclamation, little seems to have changed. [T]here is a genuine conversation about the cops and black people going on these days in America, and that wouldn’t be true if there hadn’t been riots in Ferguson. This is utter nonsense too. Such conversations began after the Watts Riots, but certain elements within black America have not progressed very far since then. They keep seeking scapegoats, just as the writer does. Barack Obama does not care at all. America’s black cities are crime infested, and descending into “third-world countries.” They will only get far worse. No one will come to their aid. They and their residents are drowning, and there will not be any life rings thrown. 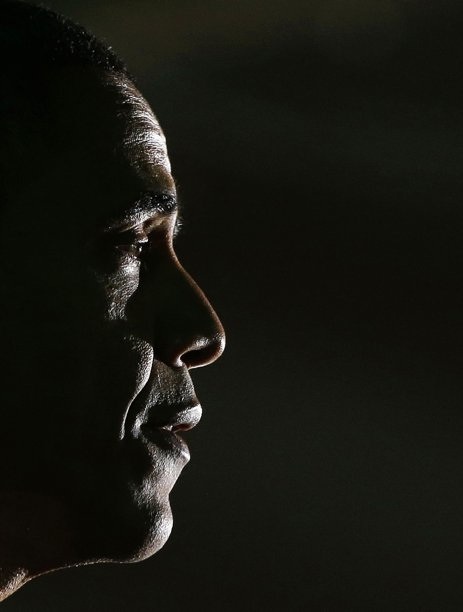 Obama has been too busy meeting in Paris with the world’s “elites,” involving “global warming” and the greatest wealth redistribution in human history, to the tune of $34 trillion or more. But no money is going to the black cities anymore. They are “no fly zones.” This is Obama’s legacy. No one cares, least of all him. There is a “Perfect Storm” gathering globally, with respect to the world’s economy, which will make things far far worse for America’s blacks and their cities. They may become nothing more than “killing zones,” into which no police or whites will go. 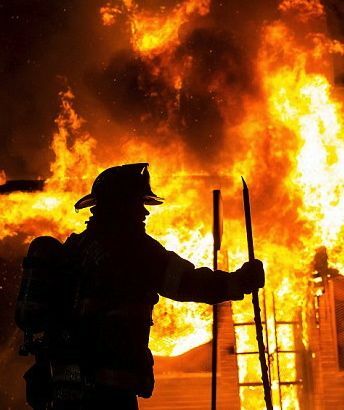 A war against the police is underway, fostered in large part by the hoods, thugs and criminals who have burned, looted and killed innocent people, destroyed their businesses, and engaged in hate crimes. When the police are gone, who will protect the elderly and inner-city blacks? Also, no businesses are going to hire the hoods and thugs; and illegal immigration is taking away other jobs that might have gone to blacks. In the summer of 1967 my father was victimized by race rioters. The nationwide race riots of 1967 and 1968 were a major historic event (a negative one, obviously) that destroyed parts of almost every major American city and killed over 100 people each. It seems that no media or historic source ever mentions this, it’s been covered up except by us older boomers that remember it. In Newark, New Jersey, where it started, my father owned a meat market in the ghetto; all of these businesses were owned for many years by people in the suburbs and provided jobs for the people there. No locals started such businesses and for decades, this was considered perfectly safe and accepted. When the riots occurred, however, my father was present while his store was looted by rioters. He had to stand there and watch. There was a gun behind his cash register, but of course if he used it, he would never have lived a minute longer. He went bankrupt and his business, along with every other business in every ghetto neighborhood in Newark and many other cities, was destroyed. Those jobs never came back nor did the neighborhoods. The population of Newark and Detroit dropped in half. The lessons were not learned as these events are not taught in history classes today. I have some progressive political opinions but not about riots and looting. Our soldiers should not be used to take sides in other countries’ religious civil wars. They need to be home defending our cities from the real enemies; many of our own citizens. Thank you, Jonathan, for your comments. Needless to say, they are among the most important comments that have been printed here since this blog began. 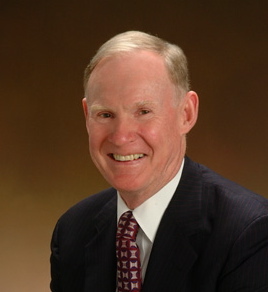 What your father and family lived through were why Senator Brooke wanted to deal with the problems facing our inner cities and other communities from coast to coast. He knew that elderly blacks, other innocent blacks, and people like your family were being victimized. Not only was it tragic when it happened, but it is even more tragic that it keeps happening again and again, with no end in sight. Now the police are being marginalized and victimized; and it is small wonder that they do not want to respond. This will lead to even greater chaos. To his credit, Rudy Giuliani and those around him cleaned up New York City, when many Americans thought it could not be done. This can happen again across the country where there is the will and leadership to do so. Thank you very much for your kind words and thoughtful insight, Timothy (I was going to give your reply an upvote, but the system wouldn’t let me). The answer, of course, is emphatically yes. All of us who are legally entitled to vote should do so, certainly when a candidate reflects our point of view. First, realistically, politics is cruel. Dreams are given wings, and then deflated, often with an deafening thud. It is even crueler on the national level. Second, those who have said that violence, drugs and joblessness have not been addressed—and are getting worse—are correct. Third, American blacks have come a very long way; however, there is little question that many are still at the very bottom of the American totem pole, while other newer arrivals (e.g., Hispanics or Latinos, Asians) keep rising up it. Even blacks from the continent of Africa, or those who have grown up in the UK, often look down on many American blacks who are uneducated and hoods. This has been true for decades. It is evident in cities like Washington, D.C. where educated foreign-born blacks attend Howard and other universities. Many are ashamed of what American blacks have become, more than 150 years after Abraham Lincoln issued the Emancipation Proclamation. Fourth, I voted against Barack Obama twice, in 2008 and 2012. And I have written many scathing articles and comments about him, at this blog and elsewhere. However, I believe he has tried to do his best. I do not agree with his approach regarding many if not most issues, but perhaps I have mellowed, because I like him. However, it must be remembered that there is not one drop of black American blood in Barack Obama’s body. His father was born and raised in Africa, and his mother was white. Indeed, Barack Obama grew up in Hawaii and Indonesia, and never lived on the American mainland until he attended Occidental College in Los Angeles. Fifth, what is “American black culture” today? The hoods, thugs and criminals who have burned, looted and killed innocent people, destroyed their businesses, and engaged in hate crimes? Those who have savaged our police? Those who have targeted defenseless elderly blacks, and instilled fear in them? The gangsta rappers? Is there an American black culture today? 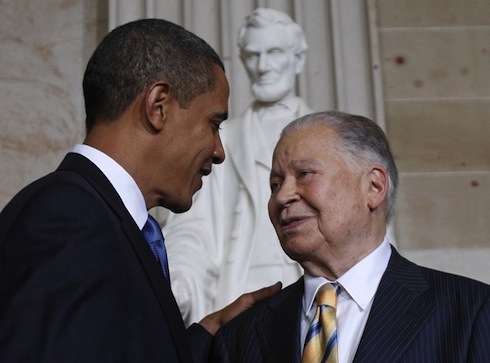 Barack Obama is not Edward W. Brooke, nor is he Abraham Lincoln . . .
Obama became a “transformative” or revolutionary president, which is not what the majority of Americans wanted. Perhaps because he was born and raised in Hawaii and Indonesia, his perspective is not that of most Americans . . . even blacks. I think it’s very interesting that you note how Asians and Latinos are not only surviving but thriving here in America. Even though many are newly-arrived and many have to deal with the disadvantages of being here illegally they are still somehow able to succeed. What does this say about white racism being the cause when non-whites fail to make it? Thank you, Jim, for your comments. Second, those blacks who have succeeded and flourished have generally come from stable families, like Ed Brooke did. Fourth, I believe “white racism” is a factor, but it is not the controlling factor. Otherwise, Asians and Hispanics would not be rising the ladder of success, and leaving their black counterparts behind. [H]is mother died of cancer right after the book was first published; and in retrospect, he might not have written the same book about an “absent parent,” his father, but instead might have celebrated her life. [H]is father’s absence from his life—as well as his mother’s absences—contributed to his sense of abandonment and anger. The Wall Street Journal has published an article entitled, “The Right Way to Remember the Confederacy,” which is not worth reading but it is nevertheless mentioned here. There is NO right or wrong way to remember the Confederacy—which is why the Journal article is so absurd and should not have been published. It is another example of the Putinesque “thought police” trying to dictate to Americans how to think about racism, global warming and a whole host of other issues. The so-called “progressives”—which they are not—or far-Left Democrats want to shove their beliefs down our throats, which is not working and is falling on deaf ears. More importantly, it is apt to be remembered and reflected in next year’s election results. Their efforts are the fulfillment of George Orwell’s “Animal Farm,” where all of the animals were equal until the pigs reigned supreme. My first paternal ancestor arrived here from Rottweil, Germany in 1849; and 11 years later, he began serving with the Union Army. 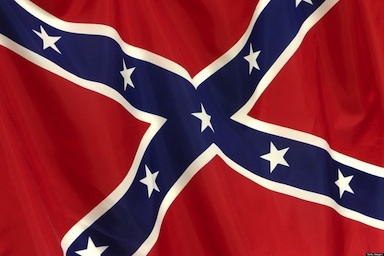 I never thought that I would be defending the Confederacy, much less its flag. However, the Confederacy should be remembered, and its flags should fly proudly—because this is a right that every American has. Indeed, lots of us who have never put up a Confederate flag may do so now. The Leftists and their politicians are trying to mask the fact, and deflect attention from the fact that Hispanics are not rioting. Asians are not rioting. Jews are not rioting. Only the blacks are rioting . . . and then only a small portion of them: the hoods, thugs and criminals who also target elderly and inner-city blacks—and our police. Racial tensions, hostility and outright hatred exist in America today, in the faces and actions of such hoods, thugs and criminals; and it is creating a reaction of equal or greater magnitude on the part of other Americans. Timothy; It is interesting that about two generations after the Civil Rights movement achieved all it’s goals, we still have ghettos, race riots, children taught to fear and hate police (with the inevitable and sad result this leads to) and a life based on the blame game. The media eats it all up, stirring the pot. We have a Black president, yet racial relations haven’t changed in the cities. It sometimes feels like we’re still in the 60s or 90s, both terrible periods for racial trouble. I married into a very large Hispanic family and thus learned about a different culture (my grandparents all came from Russia or Eastern Europe during the Czars). My new extended family all consist of hard workers all their lives, both male and female. I never hear them blame the “system” for any problems, and they have prospered in Mexico, The United States and Spain, mostly as small business owners. Asians and other immigrants have seen the US as opportunity and done very well here. I’m a retired professional in the psychology field and knew many professionals from Japan, China, Africa (very, very different than African Americans in attitude). Mexico, Cuba, etc. They all came and prospered, and took advantage of opportunity, never expecting a hand out. America is like one’s life itself; that is, it’s what you choose to make of it. Personal responsibility for ones outcome is the key. Thank you, Jonathan, for your comments and sharing your experiences. Growing up in Southern California, I had similar experiences; and over the years, I have found Hispanics to be wonderful, hard-working Americans, who are only trying to better themselves and embrace our culture. Having worked in and with Washington, D.C. for so many years, I have found the same thing to be true of most American blacks. However, there is a group that are at the bottom of America’s totem pole and may always stay there, tragically. Perhaps it is they, and America’s media, who define race relations in this country—and hurt so many other blacks. 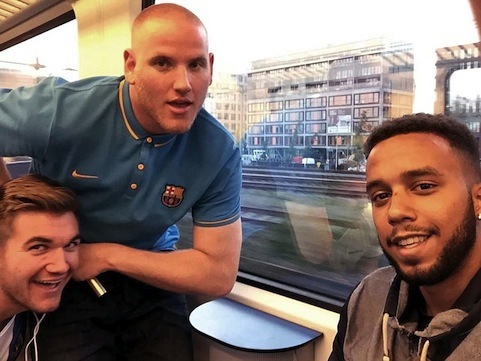 This photo shows three American childhood friends who attended the same Christian high school in California, and who were touring Europe when they stopped a Kalashnikov-wielding terrorist on a train, and instantly became global heroes. They are, left to right: Oregon National Guard member Alek Skarlatos from Roseburg, Oregon, who had been deployed in Afghanistan; U.S. Air Force Airman First Class Spencer Stone (standing) of Carmichael, California; and Anthony Sadler, a senior at Sacramento State University in California. Their heroics are described in numerous articles, too many to cite. However, two in the UK’s Daily Mail stand out, which should be read and the videos viewed. An emotional video interview with Sadler’s father, a Baptist pastor, in the second Daily Mail article is especially worth watching. House Speaker John Boehner (R., Ohio), long under fire from conservatives within his own party, said Friday he will resign from Congress at the end of October. Mr. Boehner announced his plans to step down as speaker and resign from Congress at a closed-door meeting of House Republicans Friday morning, and later at a news conference. He is an outstanding leader and a wonderful man. The Republicans in Congress are ungovernable, and essentially “Neanderthals.” This did not just happen; it has been true for decades. Now the worst elements of the GOP will rise to the top; and Mitch McConnell will remain in place—in the Senate—who should not have been reelected in Kentucky. It may signal attempts by the so-called “establishment” to deny Donald Trump the nomination, even though he is head and shoulders above any other GOP candidate. This is why many of us left the GOP, after first leaving the Dem. 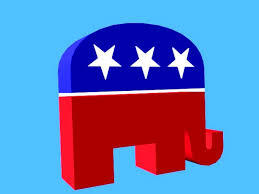 Party; and why a growing number of us are Independents, and spurn both parties. John Boehner was not perfect; no one is. But at least he was able to lead an unruly bunch. Needless to say, there will be articles and books galore written about what happened today to Boehner. Perhaps John Avlon said it best in his initial post-mortem. WikiLeaks founder Julian Assange says there’s an “obvious” reason the Obama administration has focused on Russia’s alleged role in Democratic hacks leading up to Donald Trump’s electoral win. Assange reiterated the group’s denial that Russia was the source of the Democratic documents released over the summer. In December, Assange told Hannity that the documents the anti-secrecy group received looked “very much like they’re from the Russians” but said his source was not them. When asked if he thought WikiLeaks influenced the 2016 election, Assange pointed to private comments from members of the Democratic National Committee (DNC) and Hillary Clinton’s campaign in documents published by the group. “Did [WikiLeaks] change the outcome of the election? Who knows, it’s impossible to tell,” Assange said. Whatever happened to the smooth transition that Obama promised, which George W. Bush afforded to him? What is abundantly clear is that Obama has no class. He never had any to begin with, and he has none now. He is a petty, failed “community organizer” and a black racist. While God is the final “arbiter,” history will judge the man and his presidency. Shame On The NFL Players And Despicable Race Hustlers! More than any other demographic group, black men are paying the price with their lives with a surging violent crime rate over the past two years, including a 20 percent jump in the overall homicide rate, even as the number of blacks killed by police declines. Still, the dramatic increase in black homicide victims has raised questions over whether NFL players taking a knee in a statement against racially motivated police violence are missing the larger problem. He found a spike in homicides and shootings after the riots, which were followed by Baltimore State’s Attorney Marilyn Mosby’s decision to charge six officers in Gray’s death. Three of the officers were acquitted in non-jury trials, and charges against the other three were dismissed. Yet such statistics can’t compete for headlines with high-profile officer shootings such as the February 2016 barrage of bullets that killed a black couple — Kisha Michael and Marquintan Sandlin — reportedly unconscious at the time in their car in Inglewood, California. Black Lives Matter has called for the five officers involved to be charged, while protests are continuing in St. Louis after a white police officer was acquitted of murder last month in the 2011 death of Anthony Lamar Smith. Officers also have been hit: Ms. Mac Donald said there was a 53 percent increase in 2016 in the shooting deaths of cops, while The Washington Post database found that only 16 of the 233 black men killed by police in 2016 were unarmed. The worst part is that those suffering from the higher crime rate are those who can least afford it, Mr. Johnson said. Black-on-black crimes have been rampant for decades, especially targeting defenseless elderly blacks. It is a tragedy that is not discussed, but it is real. Needless to say, the NFL players—and owners—are doing nothing to prevent it, which is among the many reasons why they must be boycotted. 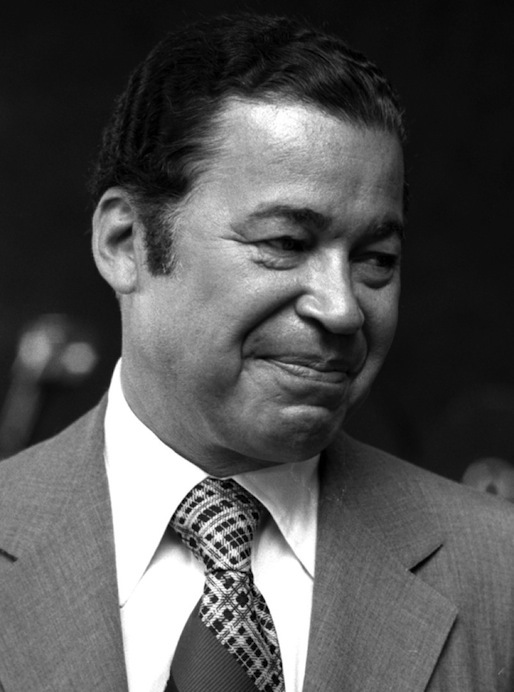 Protecting the elderly—and enhancing their lives—was the primary reason why the late Senator Edward W. Brooke and I wrote the “Brooke Amendment” relating to public housing nationally; and why we followed its enactment with the national “Housing Allowance” program, which morphed into the Section 8 housing program that has helped millions of Americans. Tim: Section 8 has perpetuated blacks dependency on government. As a wise man once said, teaching a man to fish is better than giving him a fish. That translates to providing the means to learn a trade and get out of poverty. All in all, government has done quite little to help the plight of the black. Liberal policies are the cornerstone of this failure. We never set out to create another welfare program, or to enhance any existing welfare programs. Our primary goal was to help the elderly who were being victimized and priced out of their existing federal-housing units. But the commenter may be correct: all we did was create another layer of welfare—and yes, dependency. Perhaps in the final analysis, we were naïve in not realizing that our best intentions would be perverted and twisted, and cheapened and sullied. There is only one reason why Booker was given a pass: he is black. No other reason . . . which is outrageous. It is the same reason why the black racist, Barack Obama, was given passes throughout his career, which continues to this day. Booker should be expelled from the Senate, now and forever. End of story. THE THURSDAY VIBE at the sprawling Edward W. Brooke Courthouse on New Chardon Street in downtown Boston has a jittery, jagged edge to it. Thursday is trial day for eviction cases at Eastern Housing Court, where landlords and tenants from Boston, Cambridge, Chelsea, and eight other cities and towns square off. The busy hallway outside Courtroom 10 looks like an anxiety fair, with attorneys from legal aid clinics at tables surrounded by tenants with the desperate air of people who know that they might soon find themselves homeless. Among these is Jerome Stanley, a 64-year-old Boston school bus driver, who is trying to stay in the two-bedroom Roxbury apartment he’s lived in for 27 years. Stanley’s dressed in a leather jacket, his gray hair pulled back into a ponytail. He’s here because he got a notice that movers were coming to pack up his stuff, even though he’d appealed his original eviction order. His new landlords wanted to raise his rent by nearly 70 percent, and even with the Section 8 subsidy he receives via the city, it’s an impossible jump for a man who makes less than $40,000 a year. Stanley argues, for starters, that the landlords are breaking his lease terms early. But he tried this argument in housing court earlier in the year and lost, and also had a reconsideration claim denied. He appealed the judge’s ruling and thinks he can’t be evicted until the court has heard him. Eviction initiations in Massachusetts spiked in 2008, following the Great Recession. Each year since then, landlords have sued about 40,000 heads of household across the state seeking to evict them, according to data gathered by the New England Center for Investigative Reporting. The state doesn’t track how many of these have resulted in actual evictions, but the Eviction Lab at Princeton University found that in 2016, there were roughly 15,708 forced removals in Massachusetts — an average of nearly 43 a day. That’s about double the number of evictions in 2005, before the housing bubble burst, and it probably does not reflect how many people are displaced, since it does not include the number of renters who leave once they get their notice, and those who strike deals with their landlords to stay temporarily. Some legislators and activists say that evictions disproportionately affect the poorest, most vulnerable members of our society, who, like Stanley, end up in court without legal representation. “It is David versus Goliath,’’ says Sal DiDomenico, a state senator from Everett. “People who are low income don’t have the resources to compete.” DiDomenico introduced a bill in January, an act to ensure right to counsel in eviction proceedings, to provide legal counsel to low-income tenants — part of a package of bills supported by Boston Mayor Martin J. Walsh to reduce displacement and help low-income residents. DiDomenico filed similar legislation in 2017, and that bill died in committee. But New York City and San Francisco — the two most expensive rental markets in the United States — recently established right to counsel for low-income tenants fighting eviction. In New York between July 2017 and July 2018, 84 percent of those assigned attorneys to represent them were able to stay in their homes. Advocates hope that now Massachusetts will step up as well, given that Boston has the fourth-highest rents in the country. DiDomenico says reducing eviction rates would also benefit taxpayers, who shoulder costs and consequences related to the aftermath of evictions, such as homelessness, foster care, and crime. A 2014 Boston Bar Association report estimated that limiting evictions could save the state millions. “Our shelters are bursting at the seams,’’ DiDomenico says. On a practical level, providing tenants with attorneys could defuse some of the raw emotion of eviction court, says Framingham real estate attorney Richard Vetstein, who says, “I’ve been chased down by many a tenant, threatened in the parking lot, threatened in the hallway.” But many landlords are skeptical. While landlords have the right to evict tenants without cause and take back their properties, state laws already provide numerous defenses to renters to help ensure fair treatment. “The playing field from the landlord’s point of view is already skewed in favor of the tenant,’’ says Peter Vickery, a lawyer for the Cambridge-based MassLandlords.net, which represents thousands of smaller property owners. Vickery wrote a blog post in January linking the right-to-counsel movement to the Democratic Socialists of America, which among other things wants to eliminate evictions entirely. He says that if low-income tenants get free attorneys, so should small landlords. For longtime renters like Stanley, the booming real estate market has made it hard to find someplace new. Boston-area rents reached a new high during the fourth quarter of 2018, according to the real estate market researcher Reis Inc., averaging $2,223 a month. Meanwhile, the state would need 162,286 additional homes just to meet the needs of residents who are at or below the poverty line, according to a 2018 national study. Some property owners understandably are looking to profit from the record market, either by raising rents or selling their properties. Records show that Wendy Desabaye and Artnel Champagnie, who bought the three-decker Stanley lives in in January 2018, have purchased more than a dozen residential properties in Boston neighborhoods since 2012, and resold more than half. Flipping buildings is not illegal. But it can exacerbate the area’s housing crisis, especially when occupants of entire buildings enter the market. THE GAP BETWEEN THOSE with attorneys and those without is clear to the eye on Thursdays at 9 a.m. in Courtroom 10 at the Brooke Courthouse, when eviction cases are called. The room is about the size of three school buses parked side-by-side. On one side a sea of renters — mostly people of color, women with children, seniors, and people with disabilities — wait for their names to be called to set a time for trial or to negotiate a settlement to avoid being forced from their homes. It’s often standing-room only. Across the room a smaller group of mostly white, mostly male attorneys representing landlords waits in suits and ties for the same cases to be heard so they can seek out a payment plan or demand eviction. Some stand, others sit in an area blocked off for attorneys. If Stanley had worked from the beginning with an attorney, he likely would have been able to find a way to stay, or at least gained more time to move, says Zoe Cronin, managing attorney of the housing unit at Greater Boston Legal Services, which offers free legal help to low-income tenants. Stanley came to them after he lost the first time, and the group helped him file court documents to seek a reconsideration of the decision, which he lost, and his appeal. As the judge noted, losing the reconsideration bid nullified the initial appeal, and he would have had to file a second appeal. The lawyers who volunteer at legal aid services often can only provide brief advice to people who approach them while they’re at the housing court; DiDomenico’s bill would give tenants full representation, similar to a public defender in criminal court. Desabaye and Champagnie own small properties, often just a few units each. Evictions are also happening on a much larger scale. “What we are seeing are building-wide clear outs, where everyone in the building receives a no-fault eviction notice” from landlords who want to flip the property, says Helen Matthews, a spokeswoman for City Life/Vida Urbana, a nonprofit tenants’ right organization in Jamaica Plain. Matthews says that in the past five years, the organization has worked with residents in 75 buildings, mostly in Boston, including women over 50 fighting eviction from a Fenway rooming house owned by an order of nuns and senior men being forced out of a Dorchester apartment building. “Seniors are one of the most disproportionately impacted groups,” Matthews says. Williams says she never received notification of the rent increase, and is not opposed to a “reasonable” if unspecified bump in her rent. But she also wants to see the landlord make repairs — detailing in court records problems with leaking windows, inadequate heating, and defective plumbing. “They don’t want to do nothing, but they want money, money, money,’’ she says. Oleg Uritsky, who runs both APM and GBM, declined to comment via a spokesperson, citing the ongoing litigation with Williams. Advocates from City Life recently held a protest claiming Uritsky and APM are pushing older, low-income tenants out of their homes. Uritsky’s spokesperson, Regan Communications’ Sean Martin, issued a statement saying the real estate company is focused on providing “well maintained, secure, and affordable housing.” He pointed to the dismissed drug charges from 2016 and declined to comment on new eviction proceedings related to a rise in rent. In December in housing court, Williams’s lawyer argues that her client did not receive the original summons to court and the eviction order should be reversed. Judge Muirhead says she’ll consider the request, and a day later stays the eviction, scheduling a new hearing for February 26. Williams may be able to work out an accord with GBM. Housing court judges often encourage renters and landlords, or their attorneys, to head down to the third floor of the courthouse, where court mediators try to broker deals that can involve a reduction in what is owed, a payment plan, or a move-out date. Having access to an attorney can be particularly helpful in this part of the process, housing advocates say, because desperate renters often agree to terms they don’t actually understand or can’t honor. That’s what Siobhan O’Connor says happened to her. O’Connor is 56, suffers from diabetes, depression, and arthritis, and is embroiled in an eviction fight with the nuns who own her dwelling. O’Connor has lived for about five years in the 130-unit Our Lady’s Guild House, a few blocks from Kenmore Square. The house is owned by the Daughters of Mary of the Immaculate Conception, an order based in New Britain, Connecticut, which in 2013 hired a for-profit real estate company, MRR Management, to manage it. In 2014, O’Connor and other residents were given notice that stays in the transitional housing would be capped at four years. O’Connor in 2017 went to court to block her eviction, and represented herself. She wound up entering mediation, and signed a contract provided by Guild House counsel promising to move out of her $765-a-month room in nine months, and waiving any defense against eviction. “I thought it was the only option I had,’’ she says. Margaret Turner, an attorney with Greater Boston Legal Services, is attempting to stave off O’Connor’s eviction. She says that if O’Connor had had a lawyer, she would have never signed the agreement to leave. Turner says she would have known she had legal defenses, including alleged age and disability discrimination. Court records note the Guild House’s website at one point included language saying that housing was meant for women ages 18 to 50, which O’Connor says discriminates against older people. The website currently states it serves women who work, and/or attend school or internships in the area, which Turner alleges discriminates against people with disabilities, court records show. When tenants like O’Connor have legal assistance, housing advocates say, it improves their chances of remaining in their homes. But legal aid attorneys say they are overwhelmed with requests for help. Sheila Dillon, Boston’s housing chief, says the city is working with a coalition of nonprofits and tenants organizations to support several bills, including one prohibiting no-fault evictions for tenants older than 75. Landlords have called this bill a form of rent control, a practice abolished in Massachusetts via a 1994 ballot measure. The city is also working to boost DiDomenico’s right-to-counsel bill. Since the bill was filed, 17 other lawmakers have signed on, giving it momentum. Whatever the outcome, it will be too late for Stanley. The day after his hearing, a moving truck rolls up to his home on Highland Street in Roxbury. He watches stoically as movers pack his life into boxes — his dishes, his drum set, and furniture — and haul it away to storage he’s secured. Stanley looks exhausted, not the same man who had walked into court the day before. He says he’ll likely sleep on couches at the homes of friends and family. “What are the options? If you come up with a zero, that’s me,” he says. Elderly renters looking for apartments in Massachusetts already have few options, given that they typically live on fixed, small incomes. Even someone like Stanley, who has a job, may not have the savings to put down a deposit. Worse, eviction notices are public record, easily available online, serving as a kind of scarlet letter for tenants vying for affordable homes. It’s been about four months since Stanley watched his belongings carted off. Since then, he has declined to meet in person for this story, and has become difficult to reach. In late November, he wrote an e-mail from a Boston city school bus yard saying he is no longer an optimistic man. He is fighting for survival, he says. He is now one of about 20,000 people experiencing homelessness in Massachusetts, an increase of nearly 33 percent since a decade ago. So so sad. And this is happening in the courthouse named after the late Senator Brooke, whose Brooke Amendment and “Experimental Housing Allowance Program”—which morphed into Section 8 housing—have helped millions of Americans. To say that the senator would be saddened is an understatement. Coincidentally, today I completed an article entitled, “THE BROOKE AMENDMENT AND SECTION 8 HOUSING: REVISITED, which will be published later this year—and deals with the state of low-income housing nationwide.